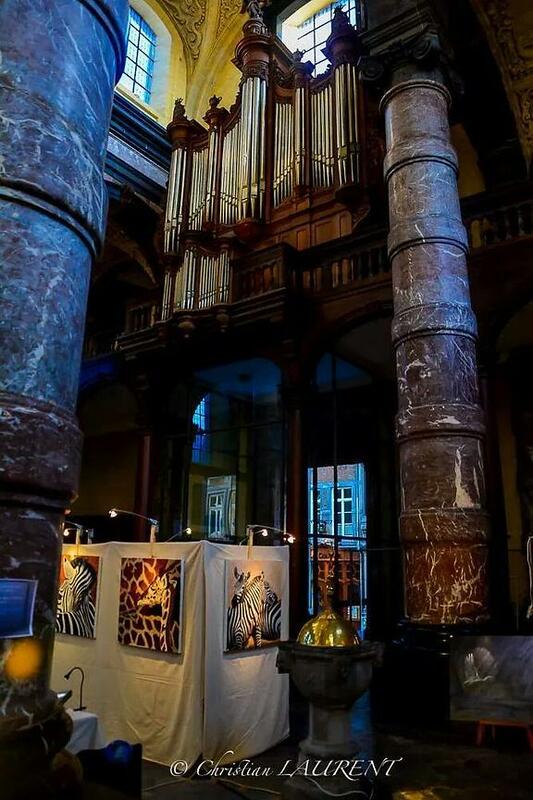 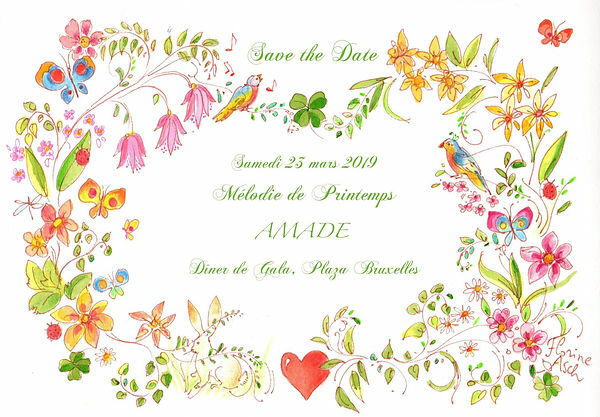 March 2019 - Gala Dinner of the AMADE Association at the Plaza Hotel in Brussels. 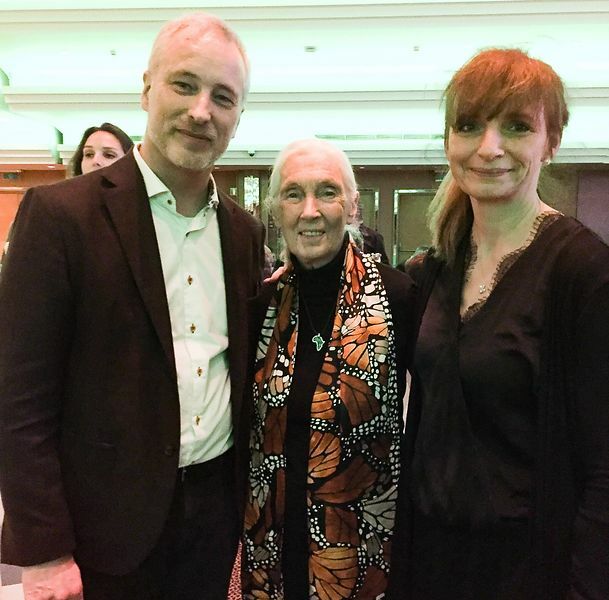 March 2019 - Meeting with Jane Goodall at the gala dinner held in her honor in Genval. 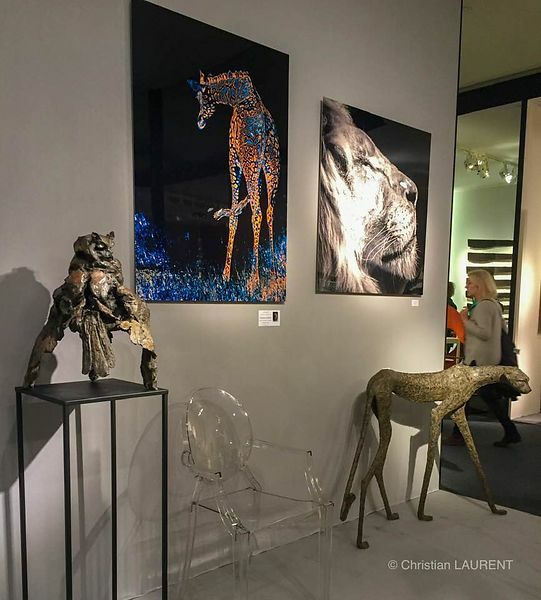 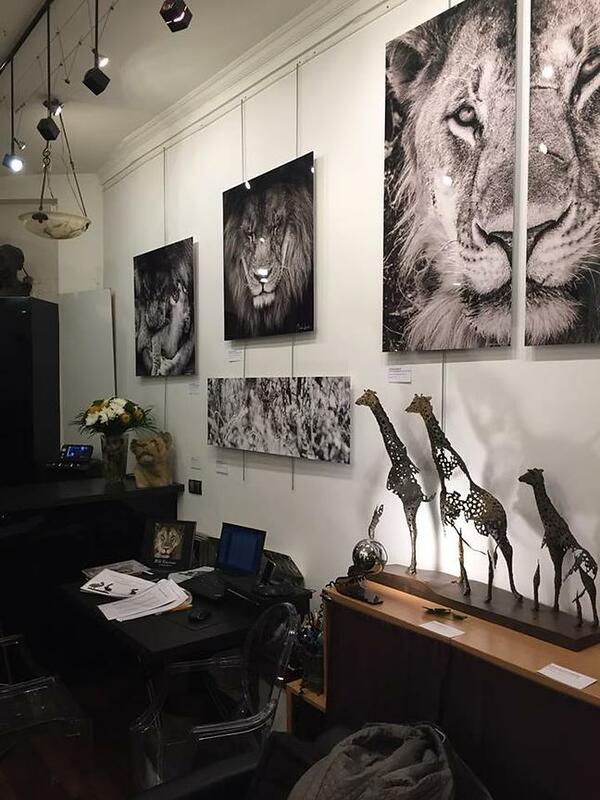 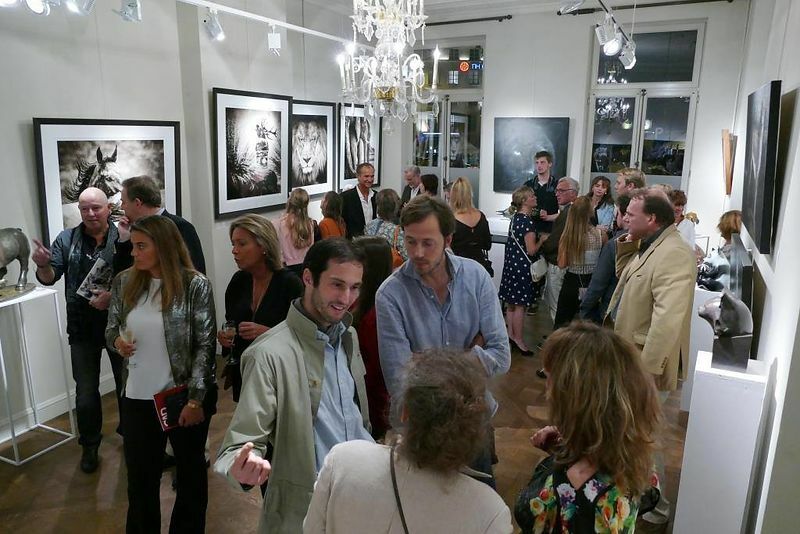 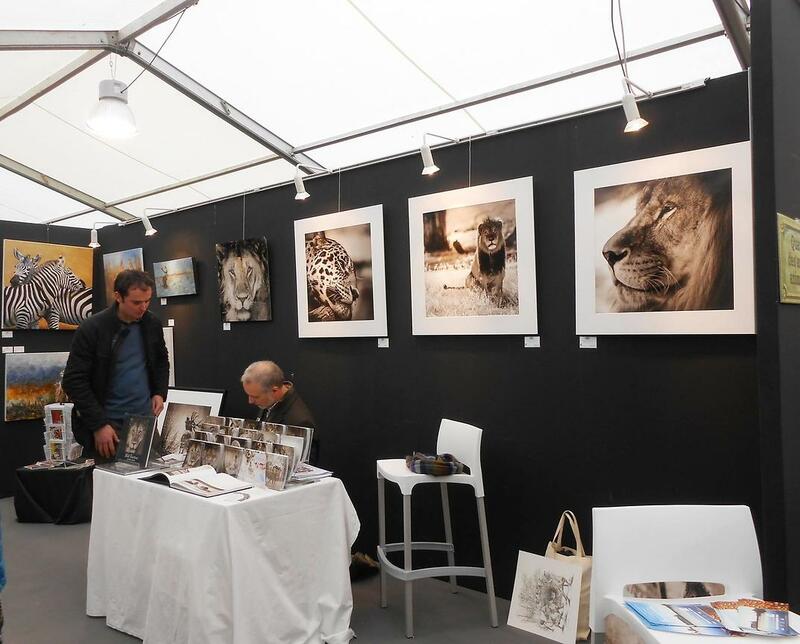 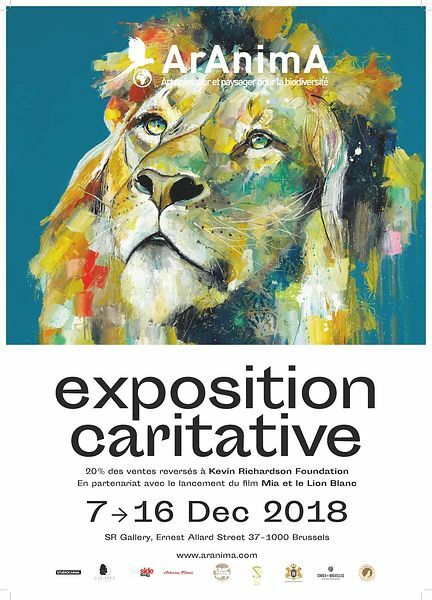 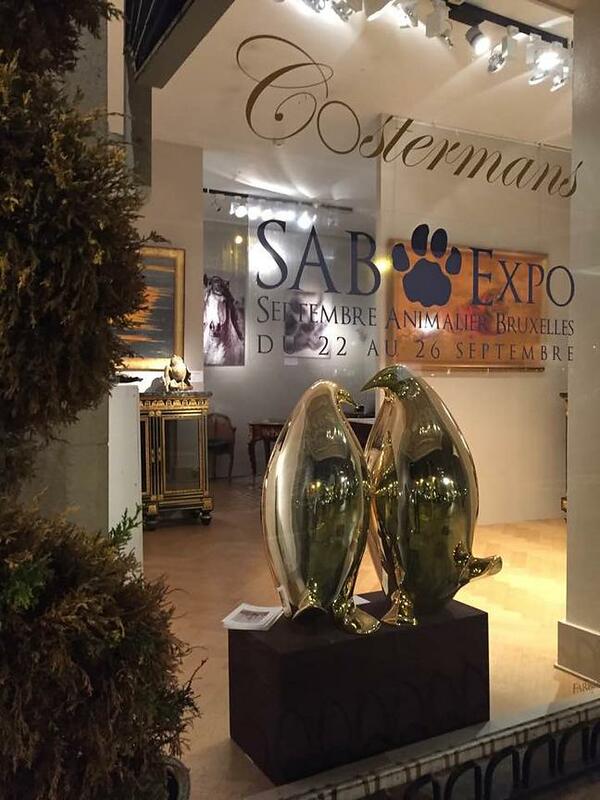 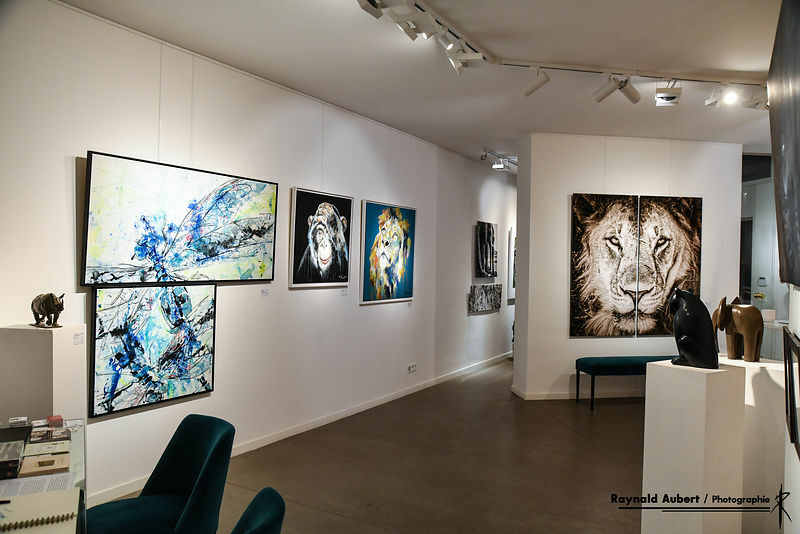 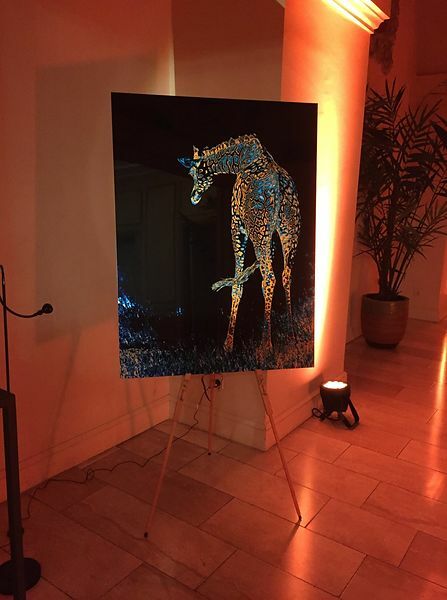 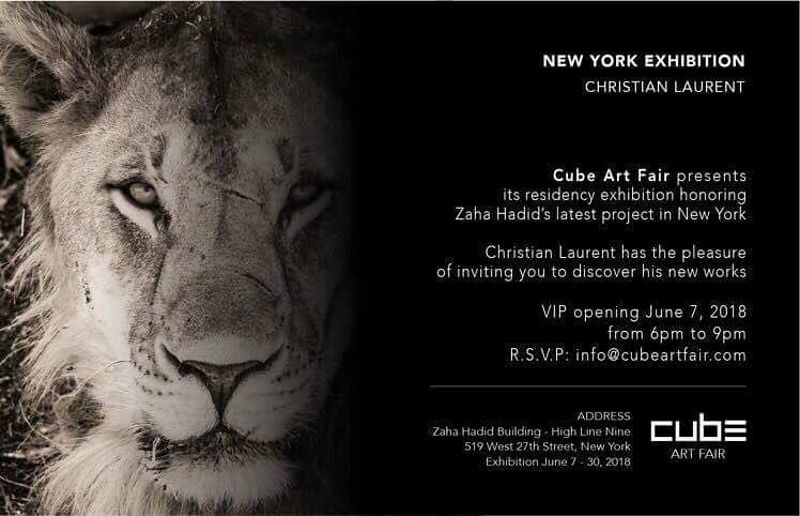 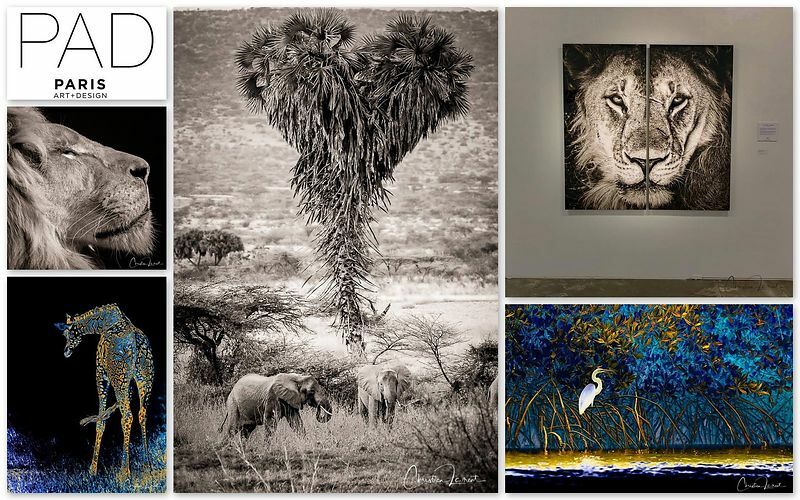 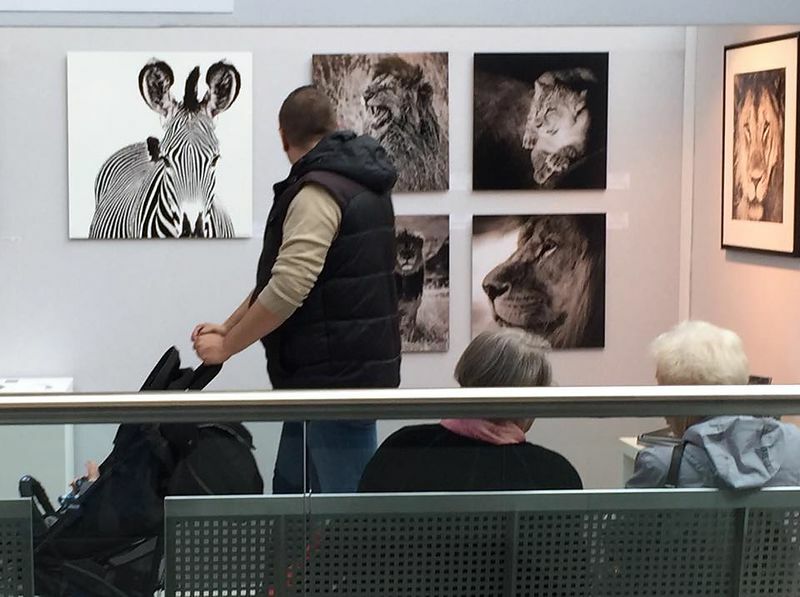 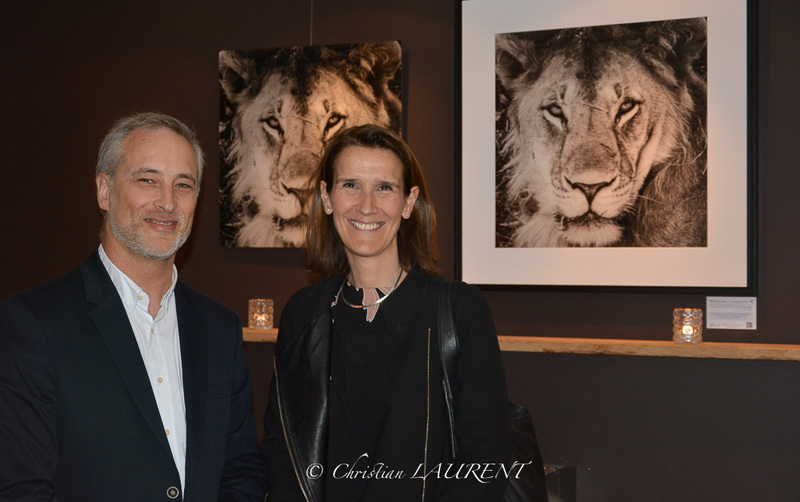 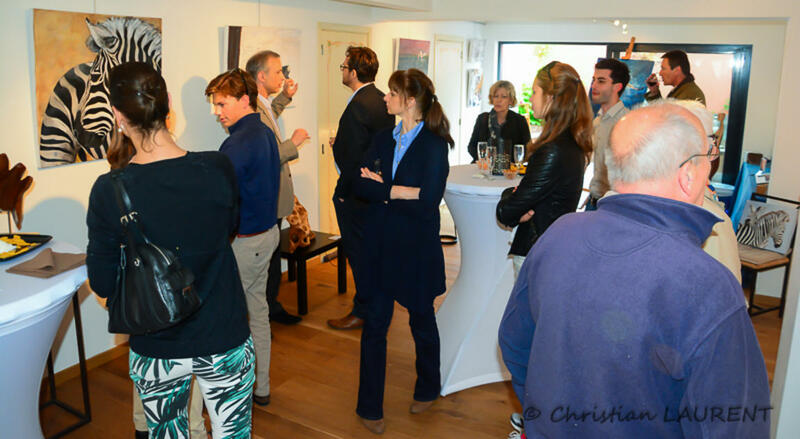 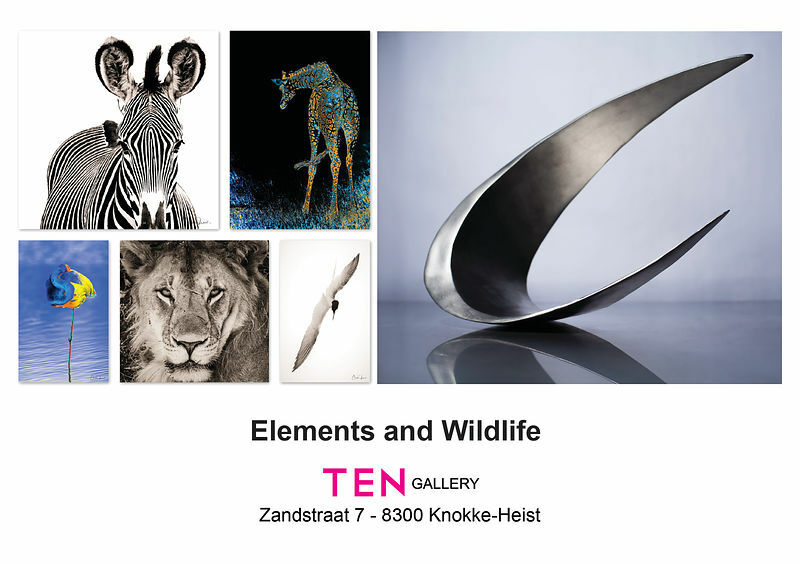 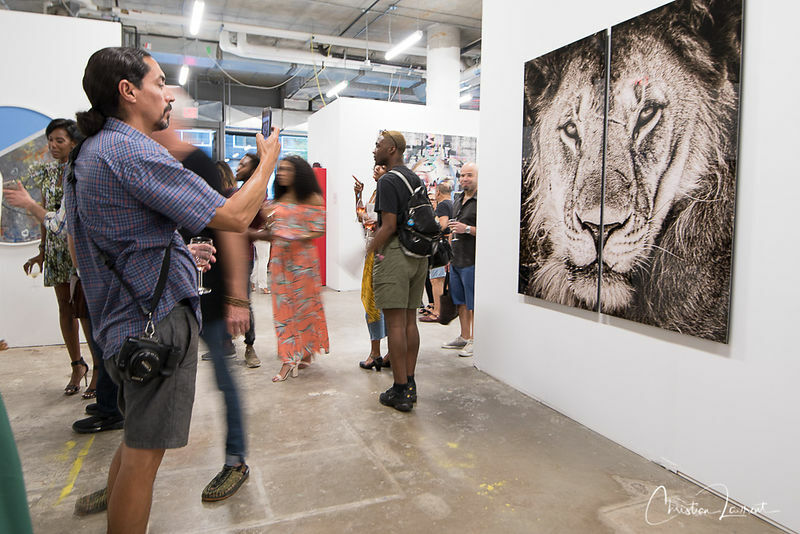 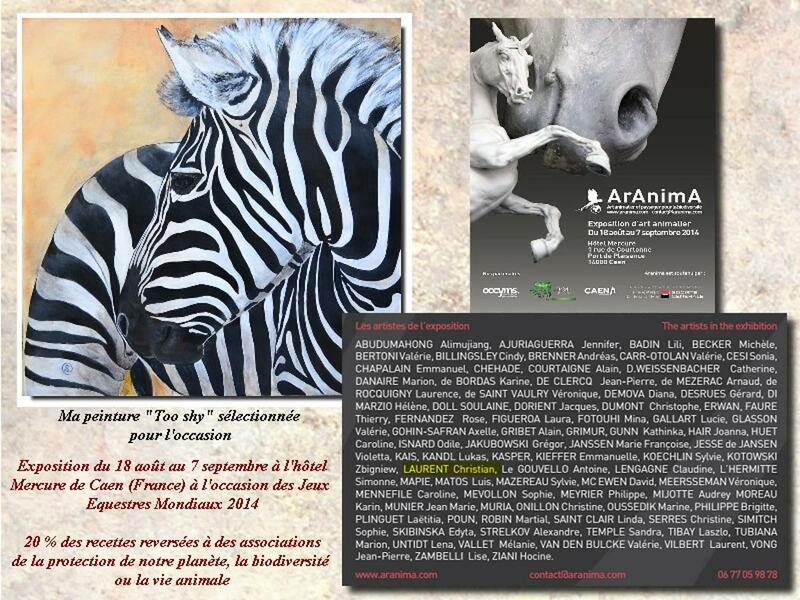 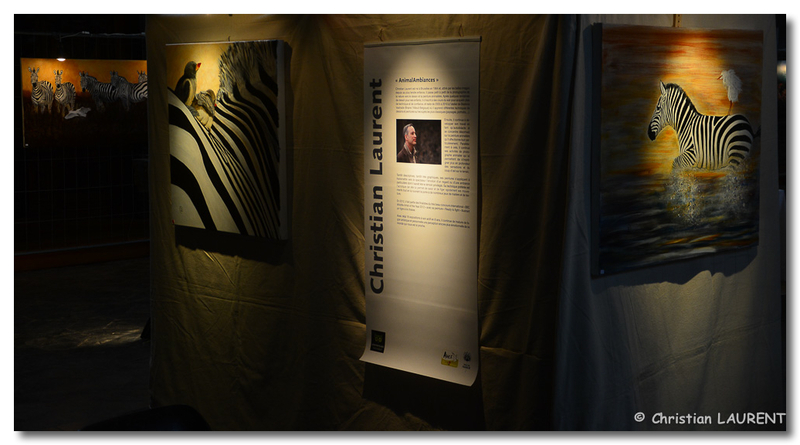 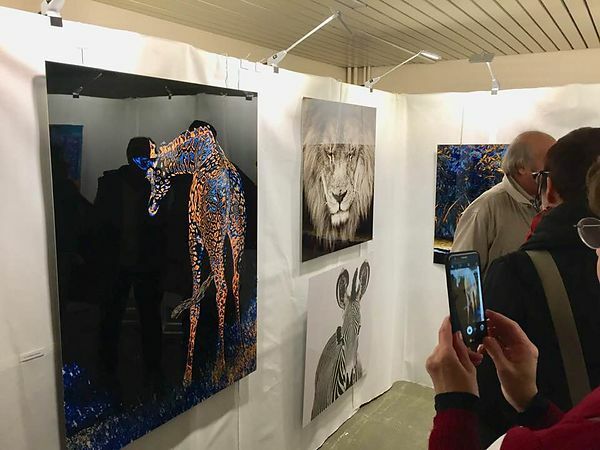 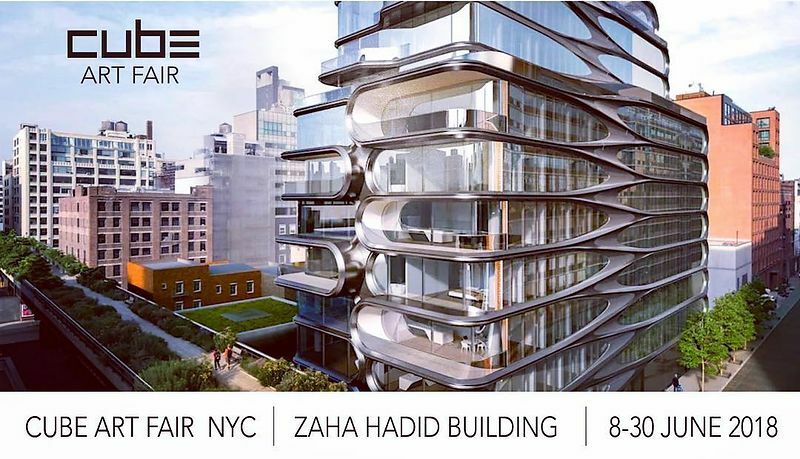 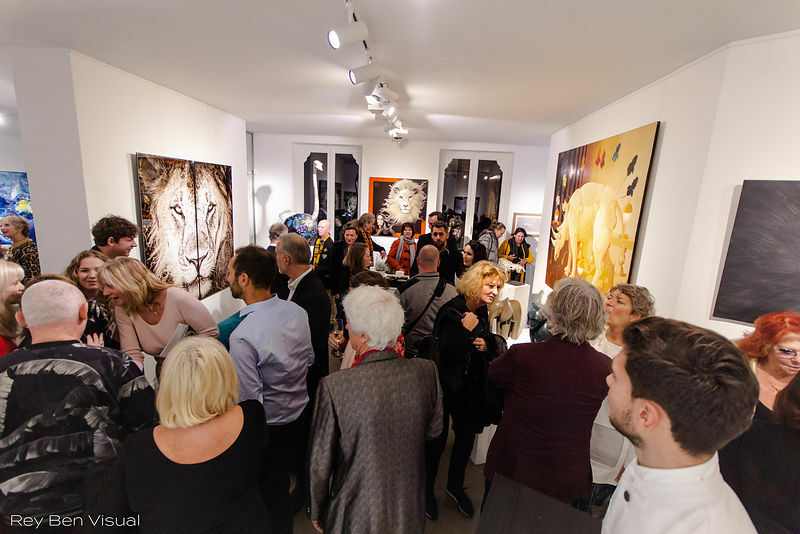 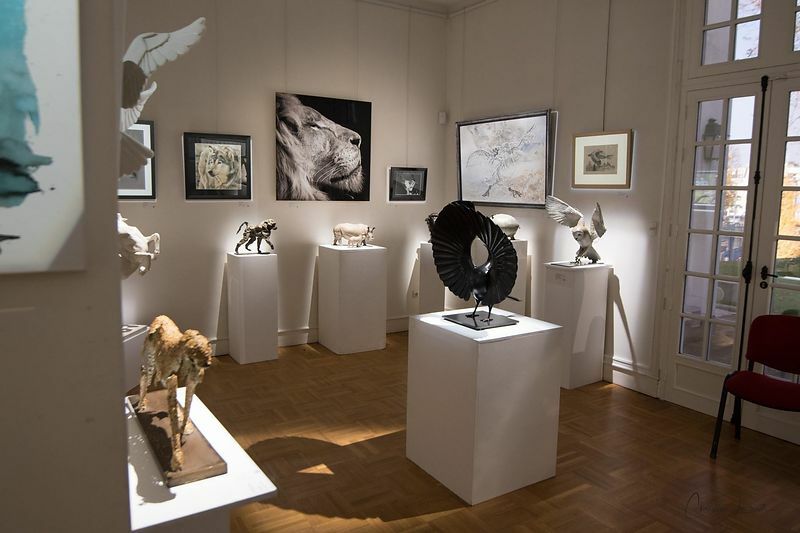 Aranima exhibition for the benefit of the Kevin Richardson Foundation, for the protection of lions. 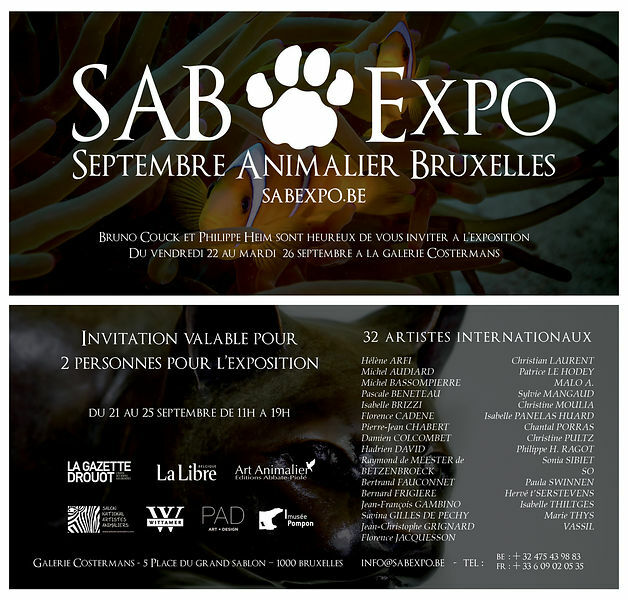 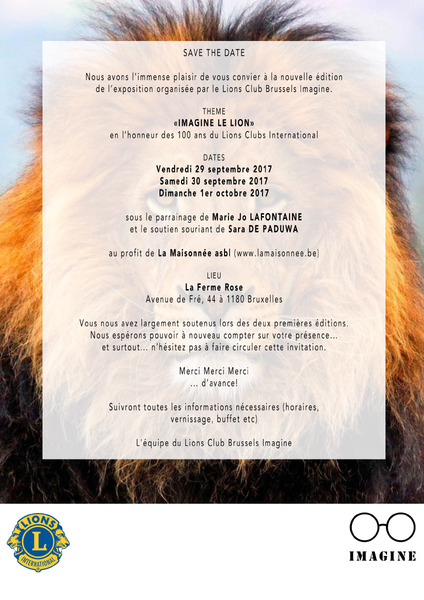 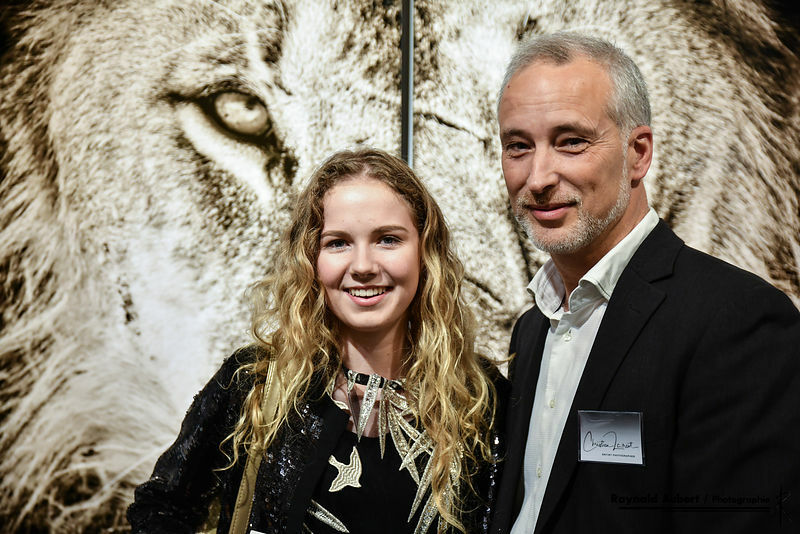 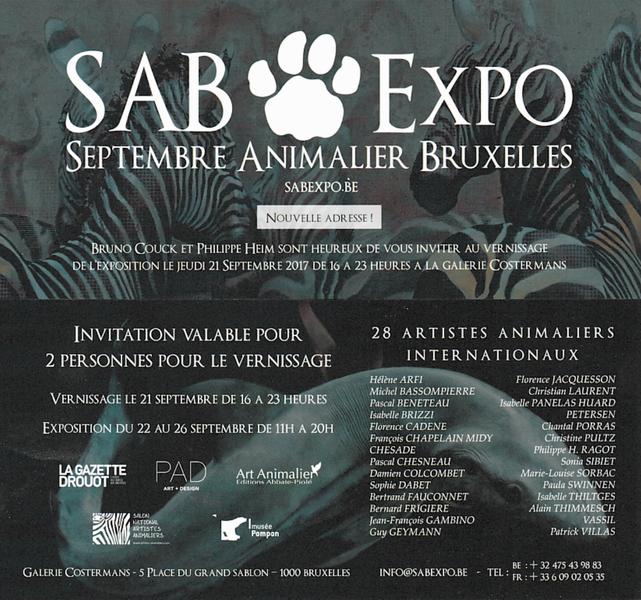 Here with Mia, the main actress of the movie "Mia & the white lion"
- "SAB" Exhibition (Septembre Animalier Bruxelles) at the "Grand Sablon" in Brussels, from September the 22th to 27th 2016. 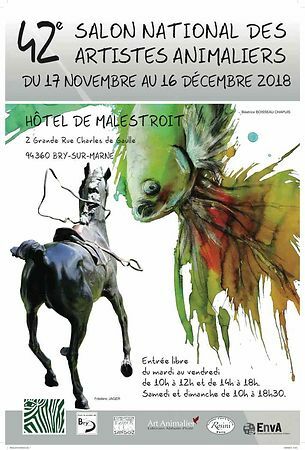 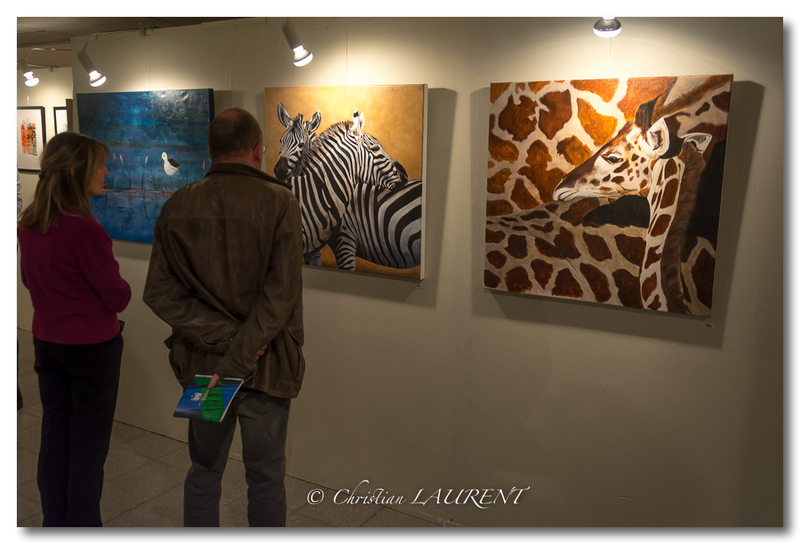 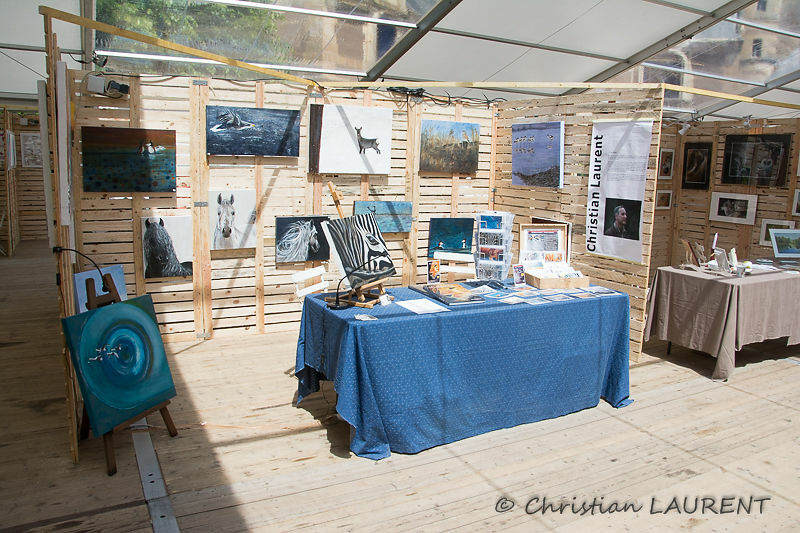 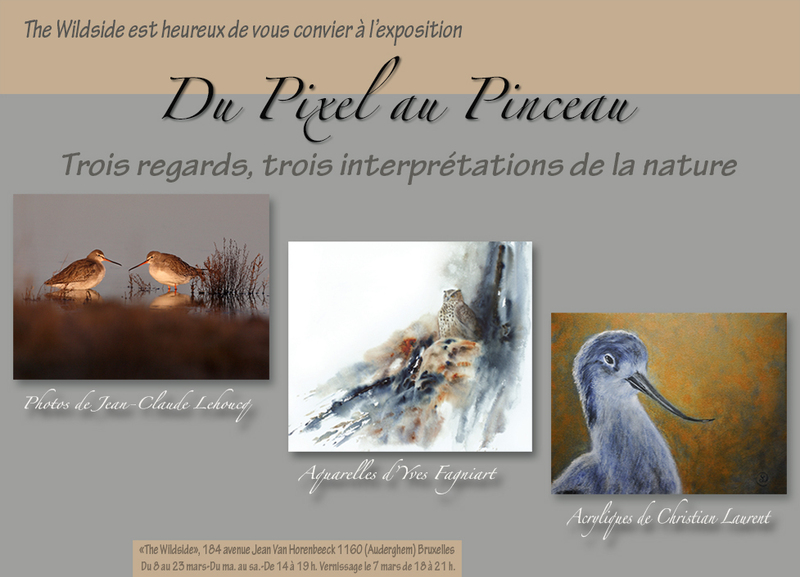 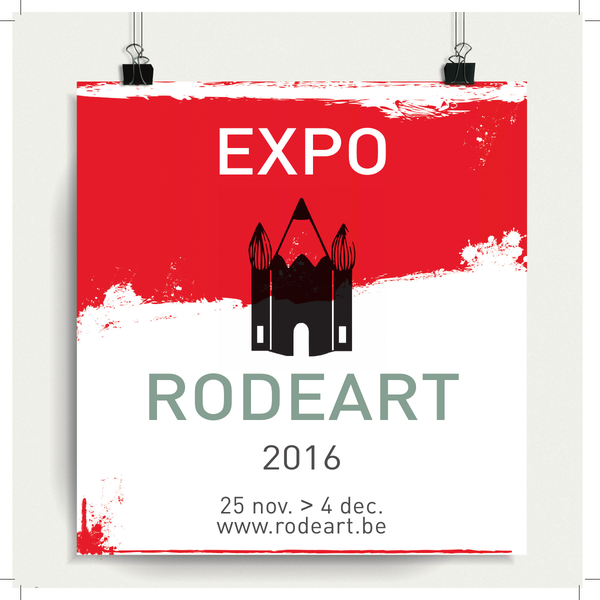 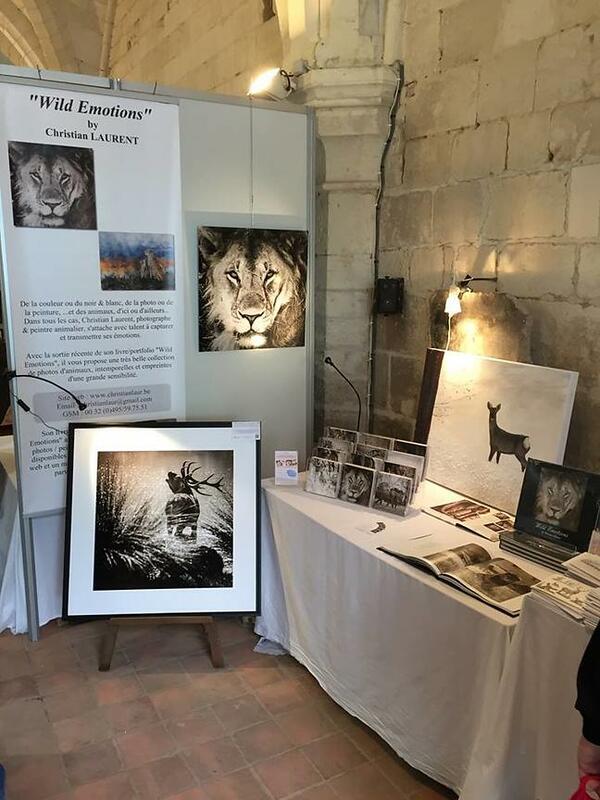 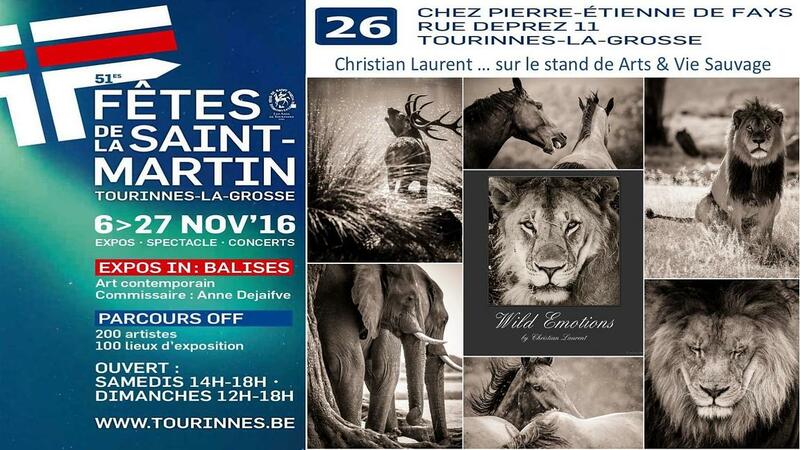 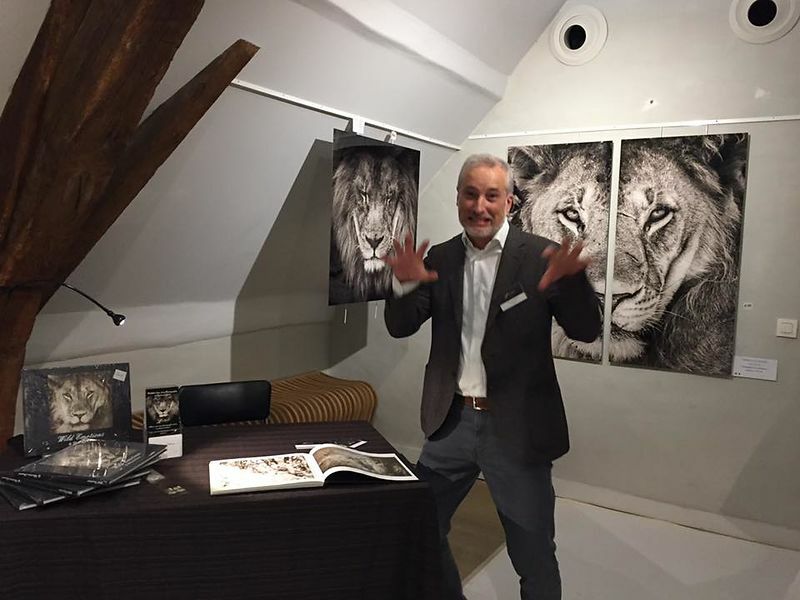 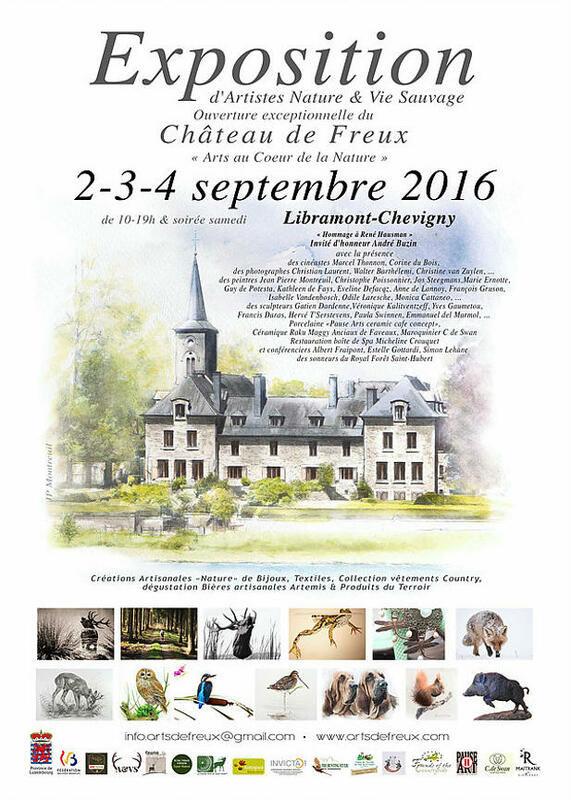 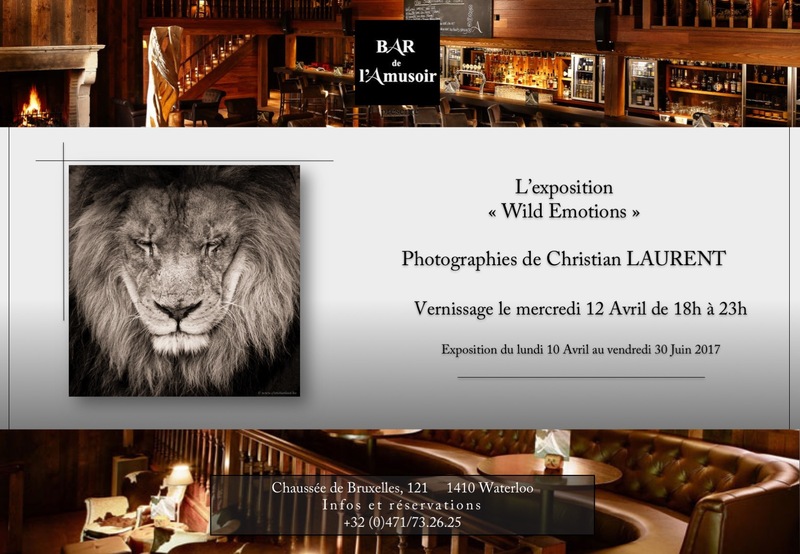 - Exhibition "Wild Emotions" (Photos and paintings) at the Salon Hunting season at the abbey of Vaucelles (France), 13, 14 & 15 May 2016.